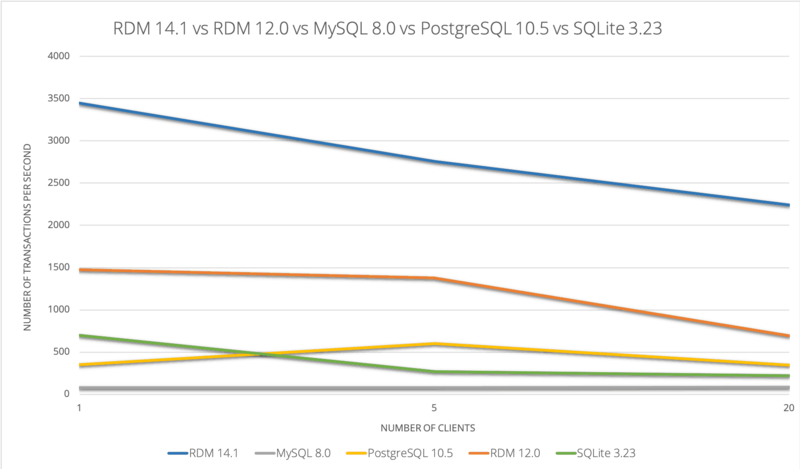 RDM 14.1 performs better than any competitor within a multitude of systems and environments. In the industry standard TPC-B test, our disk-based performance is able to process over 2,000+ more transactions than our closest competitors. The following test is run on an AMD Opteron 6180 SE Dual Core 2.5 GHz 128 GB of DDR3 1800MHz RAM running Windows 10 on a Dell H700 SCSI hard drive. To create such increased efficiency, RDM 14.1 uses a “packed” row format in the database engine. These packs contain byte streams that are both compact and portable across different OS and processor platforms. So, application developers can develop on one platform and deploy on another. This feature alone decreases time to market for enterprise applications.